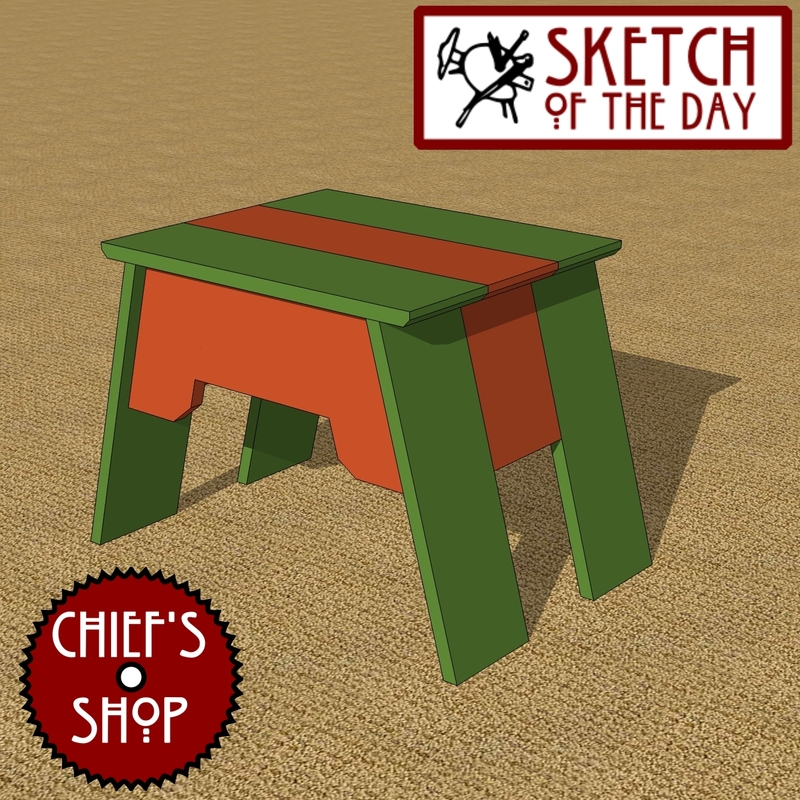 A stool or small table design concept for a camp setting. 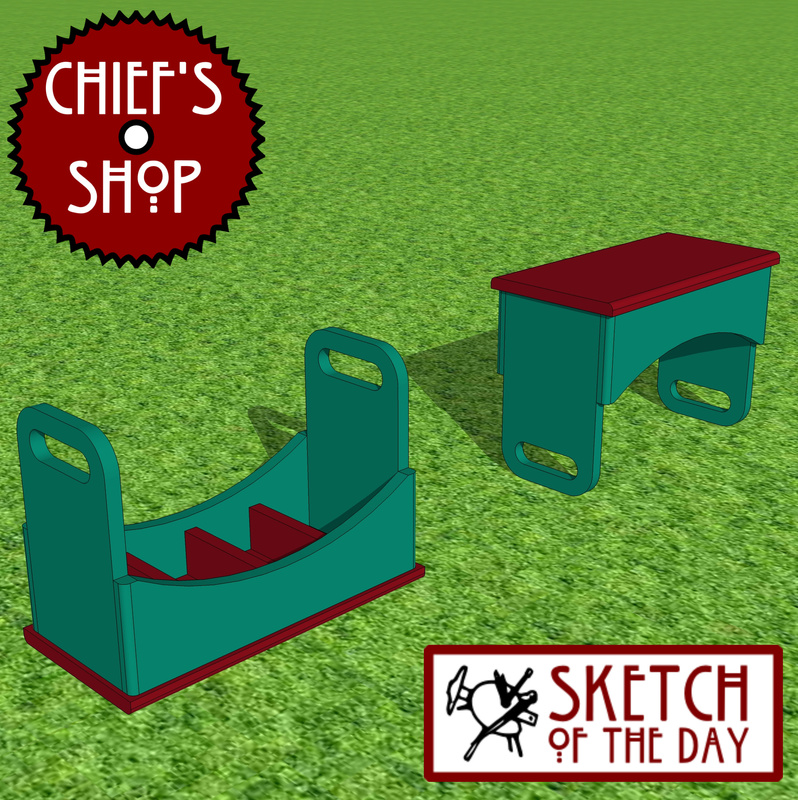 A tote and stool combo design concept. 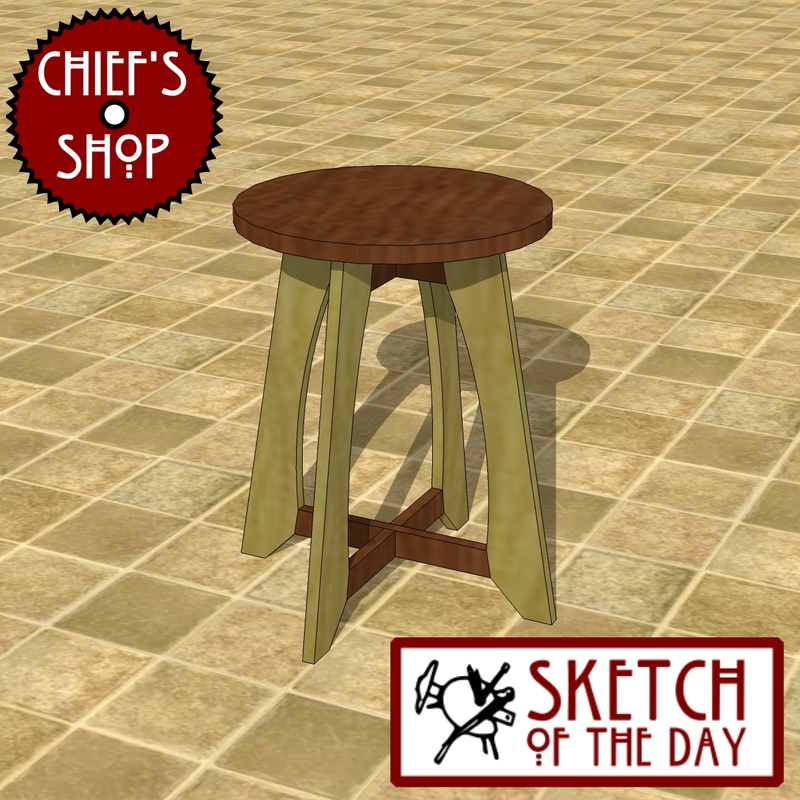 A stool design concept to go with the drafting or standing desk design concept. 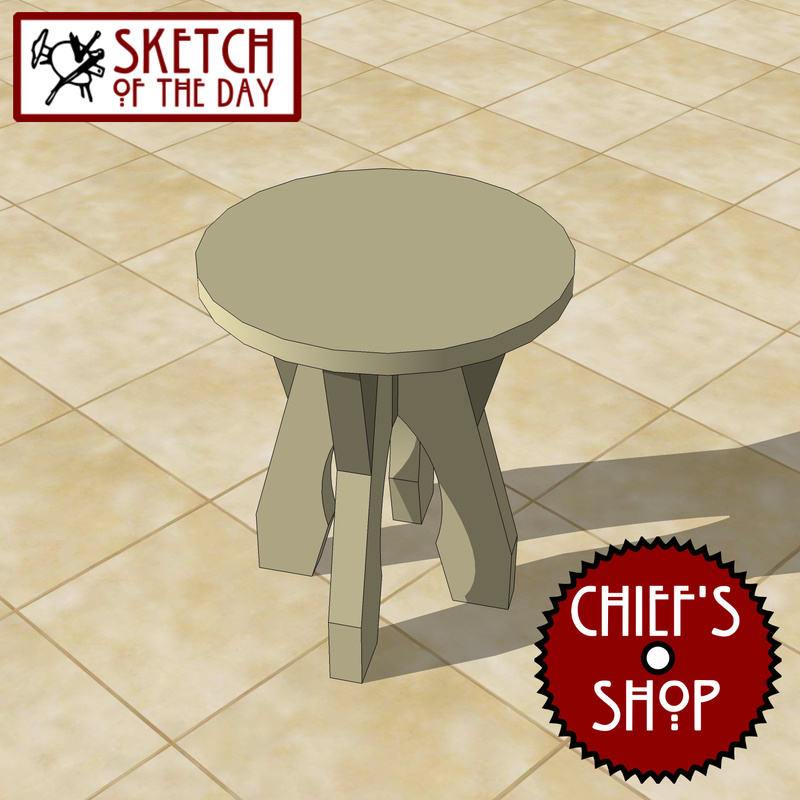 A small accent stool concept. 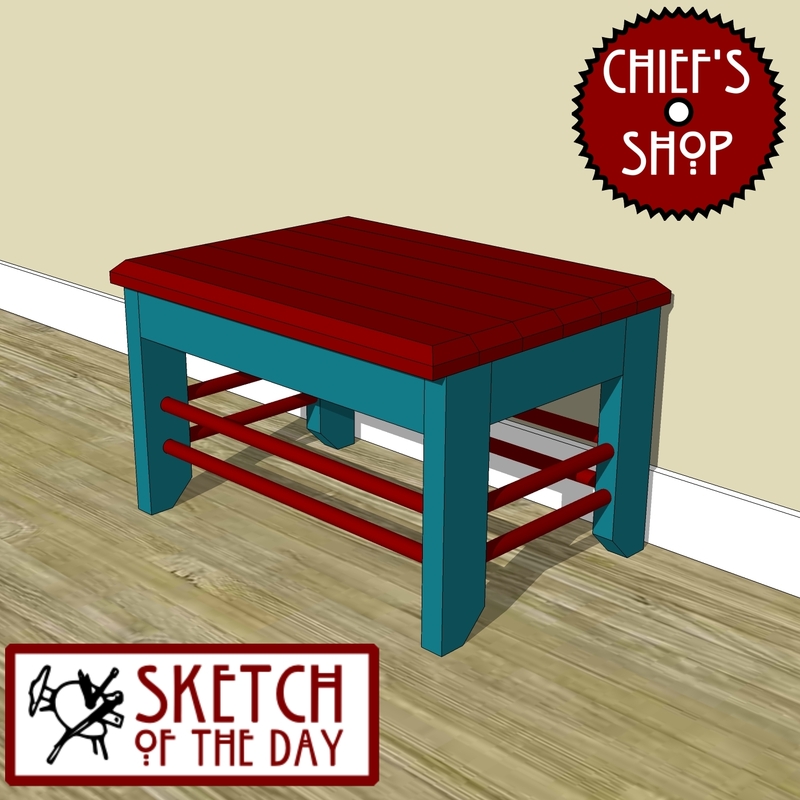 It could be used next to a couch or chair as a side table as well. 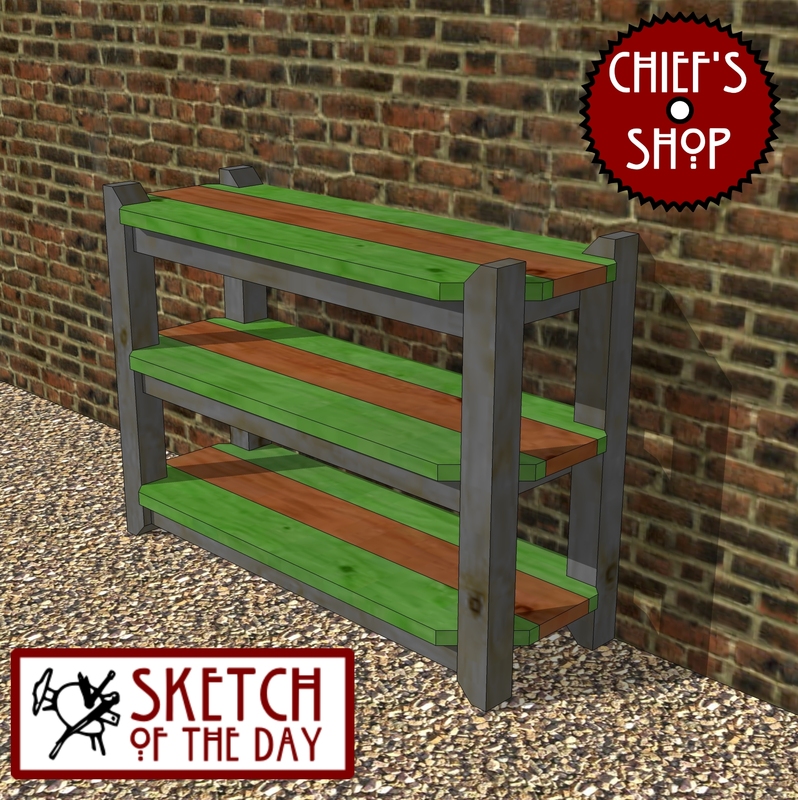 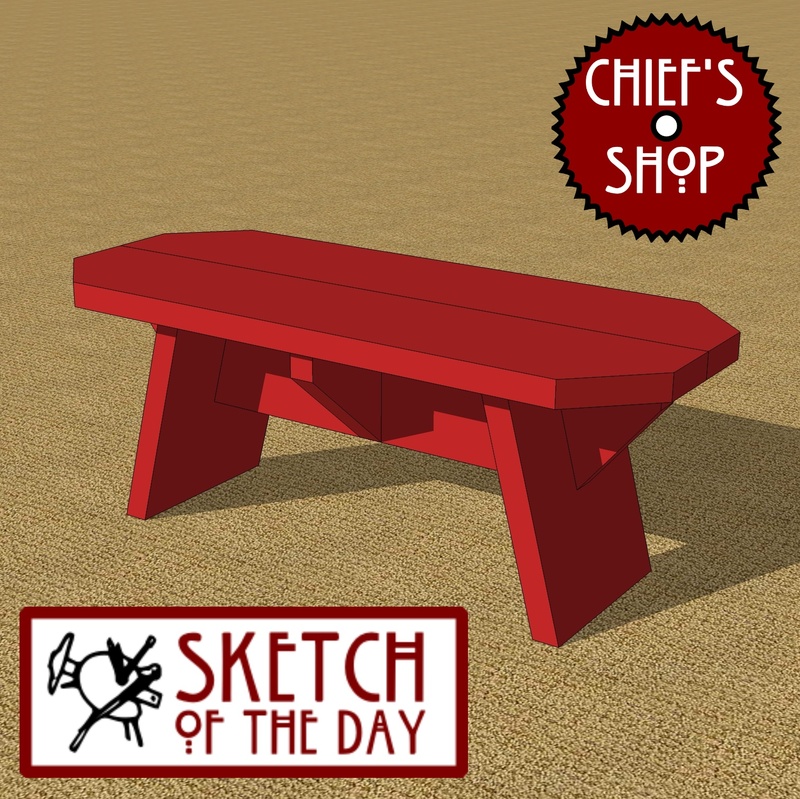 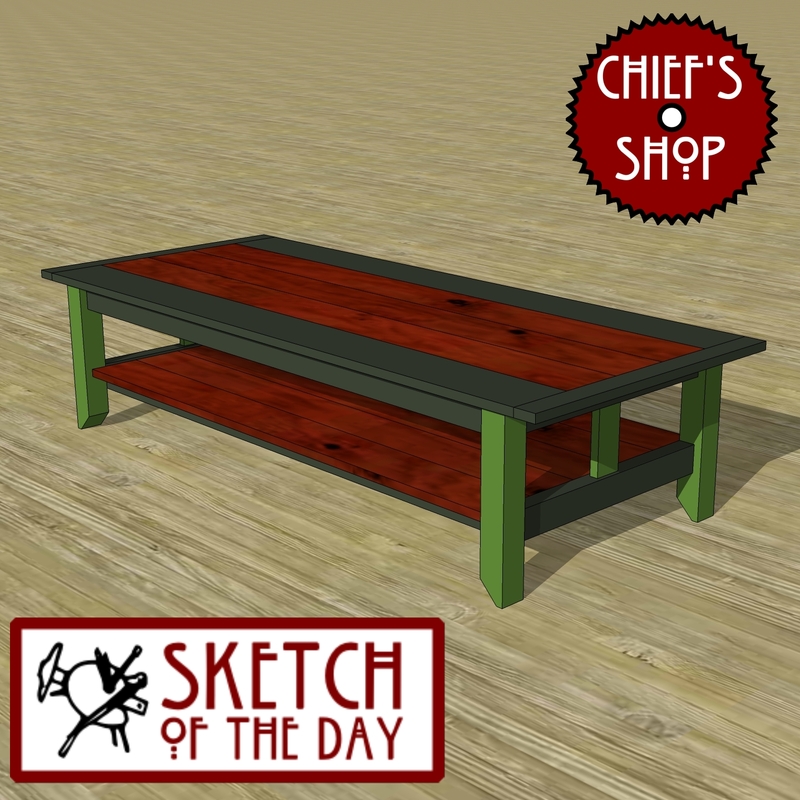 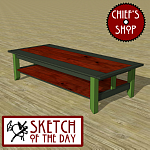 A small design concept for a deck bench. 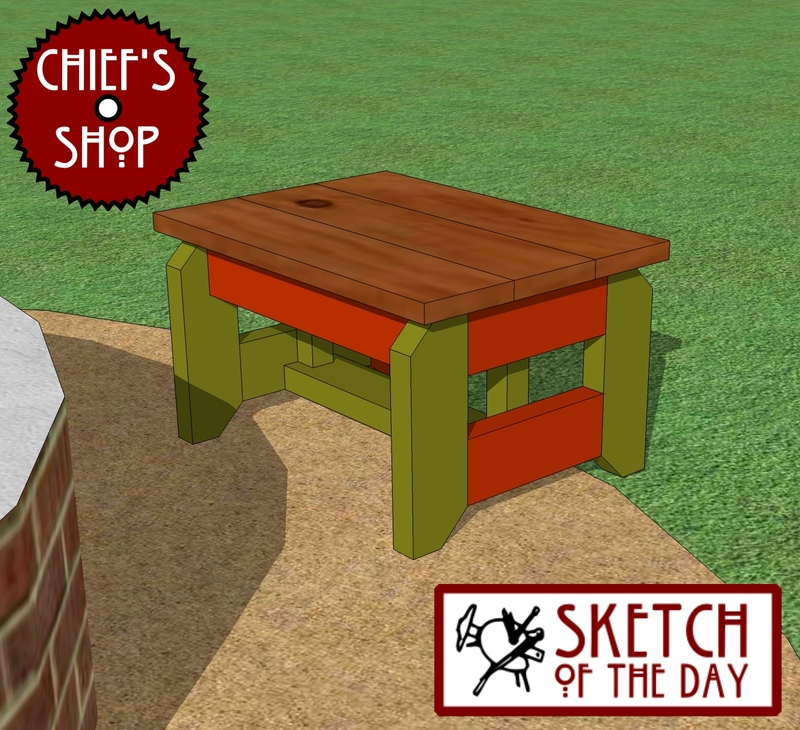 A dual-purpose design concept – it can be either a stool or side table. 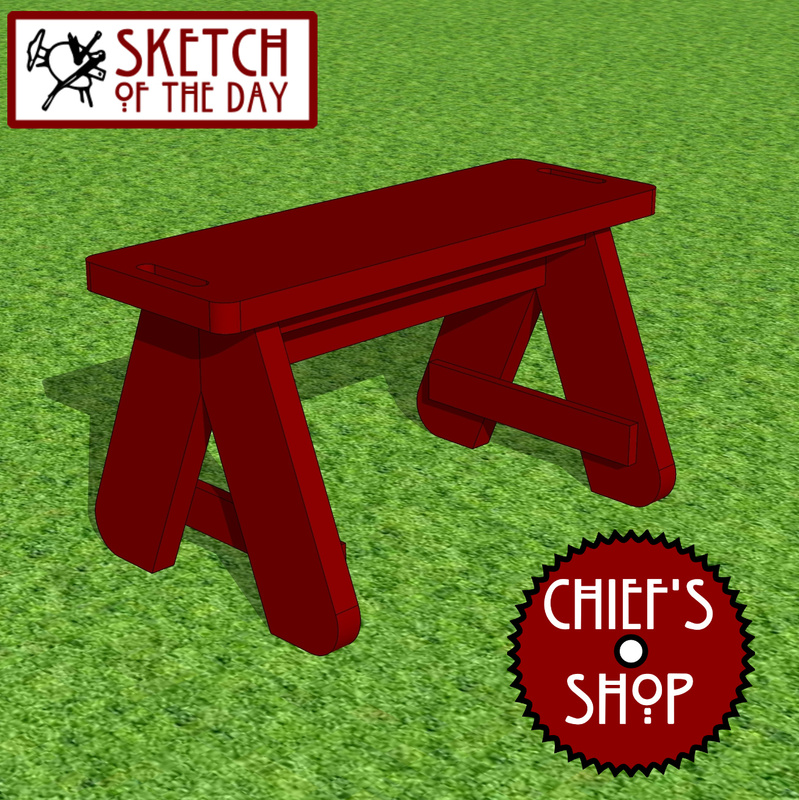 A stool concept using similar design elements from the dowel chair concept. 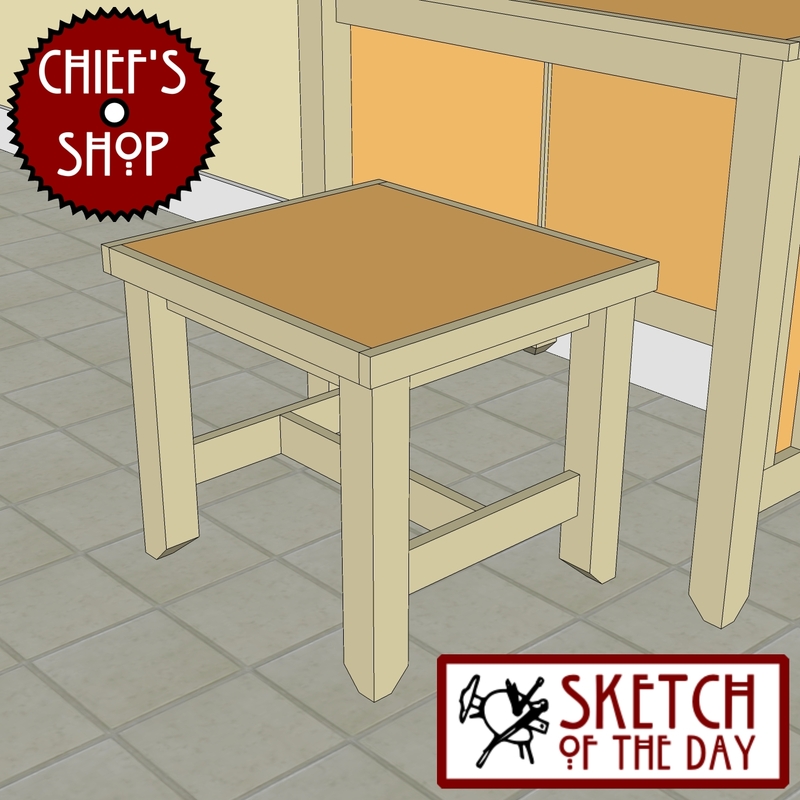 A stool concept to go with the kitchen desk concept. 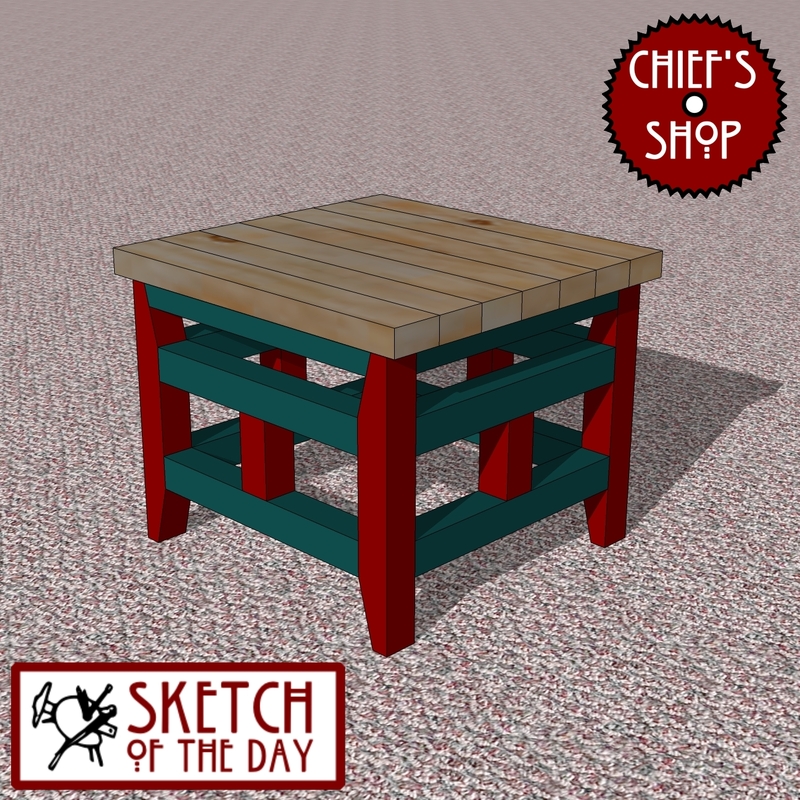 This concept could be used as either a stool or side table. 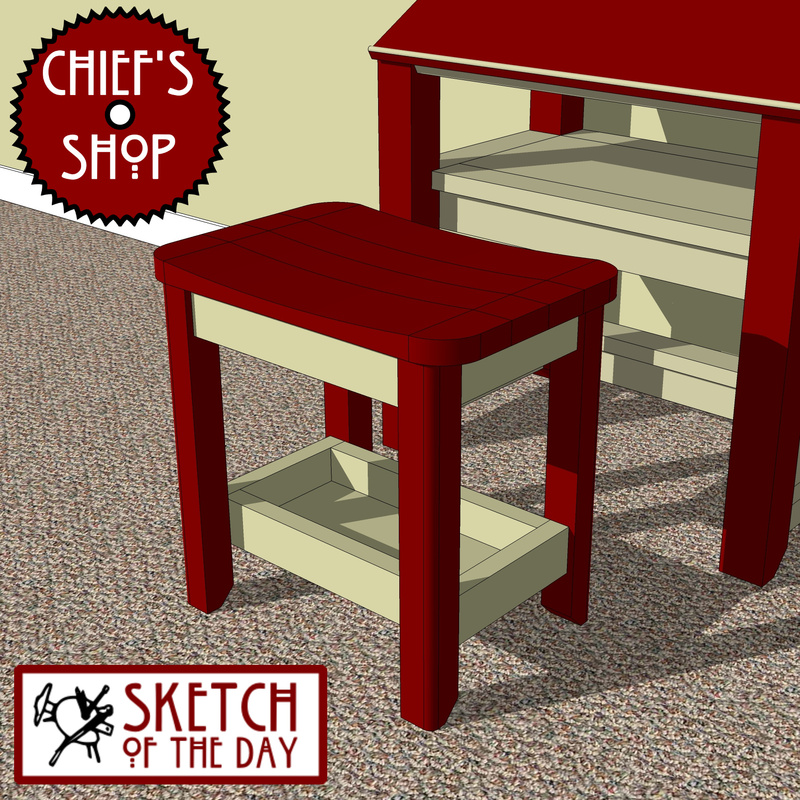 As a side table, I’d be inclined to add a shelf at the bottom.